In honor of forging ahead with my new novel (untitled), jumping into my new stage of life (empty nest), celebrating the Jewish New Year (5774) and scheduling many new book events (calendar to be updated), Women’s Fiction Writers has a new post by me and—a whole new look (but no more parenthetical phrases)! I hope you like the new digs as much as I do! It’s been a while since I wrote my own post on my own blog. I’ve spent the summer promoting The Glass Wives, writing my next novel (still untitled), working on freelance editing projects, looking for a job outside the house (I’m “opting in”) and mostly, getting ready to send both kids off to college. 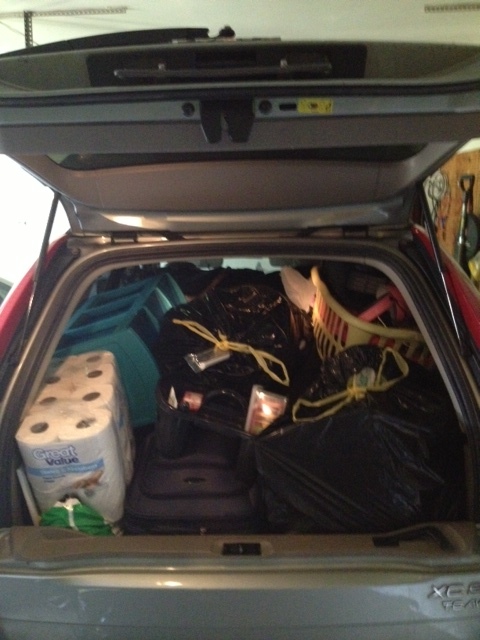 No, it didn’t take all summer to shop and pack and prepare the kids. It took all summer to prepare me. And it will probably take a little longer. It’s not like I’m new to life-altering changes, but each one seems to be like the first. Except for one thing. This time I know I’ll be fine. How do I know? Because I constantly remind myself that I’ve done this “starting from scratch” thing before. That writing and life is strewn with uncertainty. That there is no other option but to be fine. I remind myself often of how far I’ve come, how much I have accomplished, and how many choices I have (even when it seems I have none, which is often). I remind myself that there is more to be grateful for than not. And when I forget, I remind myself to remember. I started this slightly obsessive reminder system when I received my first check for two essays published in a major newspaper in 2006, by putting a ring on my finger. That’s right. I put a ring on it. I didn’t spend the whole check or bedeck myself with razzle-dazzle. I chose something I could wear every day, that would not distract me. I knew it was merely a symbol, a token, a visual reminder of the chance I’d taken in reaching out to an editor in a fit of confidence tinted with naïveté. In a matter of four years I’d been divorced, my ex-husband had died, I was raising two kids alone, and after years as a stay-home mom, a year of blogging and writing for ezines (remember those?) I’d sent an email to an editor at a major newspaper and after lots of hard work, I was forging a freelance career with no idea that would lead to more freelance writing and editing, and publishing a novel. But I didn’t buy the ring as a reward, I bought it as a reminder. While rings are often the sign of a promise, mine was a proclamation. The ring may be subtle but the message is strong. And this is one that needs to be. Years have passed. Stuff has happened. Big stuff and small stuff. Good and bad stuff. Writer stuff and non-writer stuff. I wear that ring when I write my novels and essays and I wore that ring when I went by myself to New York to meet my agent and editor. I wore it when my best friend was in big-time surgery and I wore it to an event where I’d see people I didn’t like (and had to be engaging and nice). I wore when I spoke to a hundred people about my book, (which I like very much). See? I can do anything. Probably most important of all, I have worn this ring to move each of my kids into college. Correction. I have worn this ring to drive away after moving each kid into college. It might seem silly, my little ring of truth, but in its simplicity it reminds me of the power in an inkling, in taking a chance and what can happen when I do. It reminds me of the beauty in a small moment, that perfect word, a polished paragraph, a game of fetch with the dog. I reminds me that in every tiny achievement, every baby step, there is the possibility for something more. Something big. It reminds me that if I conquered the past I can handle the future, no matter surprises or hardships it brings. And if I can do anything, so can you. I hope that rings true. What a great symbol better still for being always with you when you need to be reminded of what you can achieve. What a great message! Thank you for sharing it. I haven’t used physical symbols much as reminders, but perhaps I should reconsider that. La Shannah Tovah, Amy! I’m really looking forward to the new Women’s Fiction Writers. The phrase “the beauty in a small moment” particularly resonated. All those small moments add up. They cost nothing, yet delight us with unexpected pleasure and alert us to the possibility (probability) of the next lovely small moment. Love your new look and thanks for a great post! Thank you Amy!! Beautiful and powerful – just like you! You are such a valuable member of this amazing sisterhood we’re so privileged to share as women’s fiction writers. Rock on, sister! Beautiful post, Amy! You are an inspiration! Keep shining. Excellent post, Amy. You have a warrior spirit. You can do anything. Love the new blog design. Relish your accomplishments, no matter the size and complexity. New blog designs feel fresh as a makeover, and just as cathartic. (I understand, as I just worked through my own.) Cheers to you. You’re such an inspiration, Amy. What a powerful message. You’re so right, too—I often forget all the things I HAVE done when I’m overwhelmed by the things I’ve yet to do. We all need a reminder sometimes. Very inspiring post, Amy! Thanks for sharing! Love the new look of your blog, too! Congratulations, Amy, on everything you’ve accomplished. I’m sure you will continue to be fine, and most likely, more than that. I’ve enjoyed your blog for months, and I like the new look. Such a beautiful post, Amy. You continue to be one of my most inspirational mentors. I love the idea of a ring to symbolize this new sort of marriage you have with yourself: to forge ahead, to land on your feet, to persevere in the face of adversity. Thank you for sharing so much of your life with us. Thanks for reminding us to stop and take notice of our own power, as it is always there! Wishing you a happy and healthy new year! Such an inspiring post, and one that I really needed to read today! What an awesome reflection! I wear a very modest ring that my great-grandfather gave my great-grandmother and that has been worn since by my grandmother and my mother. It reminds me of all the strong women who’ve gone before me–and that I carry their strength inside me. What an awesome reflection! I wear a very modest ring that my great-grandfather gave my great-grandmother and that has been worn since by my grandmother and my mother. It reminds me of all the strong women who’ve paved the way for me. I love this–just love it! Fabulous post, Amy. I love the empowerment symbolized by that ring – and dare I say, emanating from the ring WHEN you wear it! Keep on going! Your post reminds me of Julia Munroe Martin’s this week (about the empty nest situation). And I love the new look of the blog! You just blew me away. A beautiful story and the kind of thoughts I try to inspire in women with on my blog. we have a similar history – I divorced, my ex-husband died a couple years later, I finished raising my two children. I promised myself that I would be okay on my own forever, if necessary, since I had great friends, a good job, hobbies and passions that give me creative time to myself, and, at the time, good health. I also acknowledged that I wouldn’t pass up a really good man and a great relationship if offered. 4 years after that promise, i did meet the ‘man of my dreams’, since he supported my creative pursuits, I began writing. 4 more years have passed and I was diagnosed with stage 4 cancer. I’m powering through treatments and doing well. I’m fighting hard (because I, too, can do anything) and am in remission. There’s no cure in store for me but I’m determined to get 10 more years or more before it gets me. Your story obviously resonates with me…probably many others. Keep on keepin’ on! Never, ever give up! Aw, thanks so much, Amy Sue. The positive thoughts are always welcome. 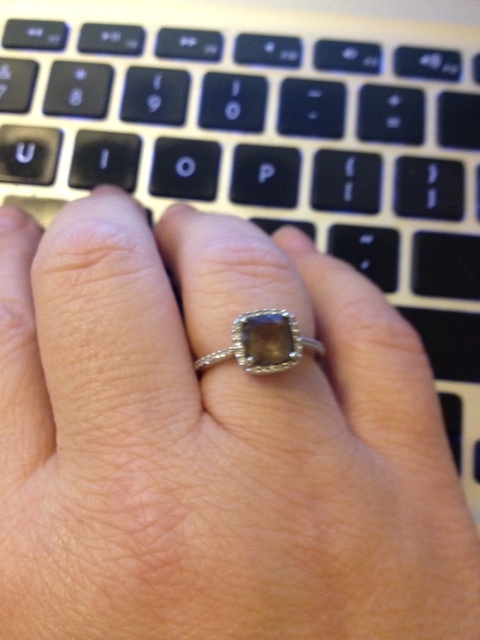 One thing I forgot to mention….after I was divorced, my then teenaged sone saved his money to buy me a birthstone ring (something I’d always secretly wanted) for my birthday. He said, as I unwrapped it, that he would always be there for me no matter what. Ten yrs later, he still is, as is my daughter. So, you and I both have a special ring to keep us moving forward. Wishing you all the best of everything.